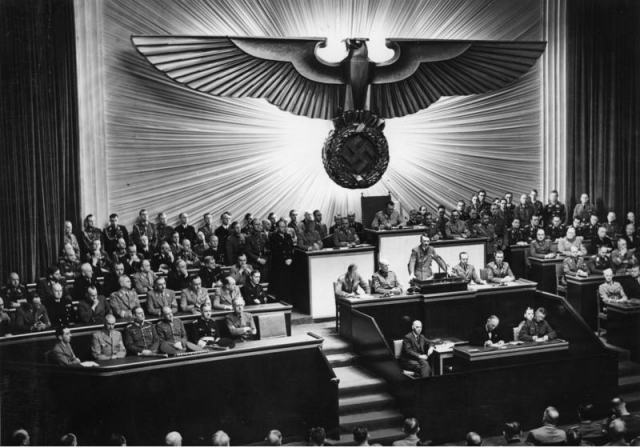 In this podcast Professor Stephenson looks at the rise of the Nazi Party: How important to Nazi support were the crises of 1923? How important was the Wall Street Crash to the Nazi seizure of power in 1933? To what extent was the Nazi seizure of power a legal revolution? 2. Building an enthusiatic volunteer base. The Wall Street Crash. 4. The end of the democratic system and the establishment of a Dictatorship. 5. 1933 - the first anti-Semitic legislation, the end to freedom of expression and the end of political opponents. 6. The veneer of legality.